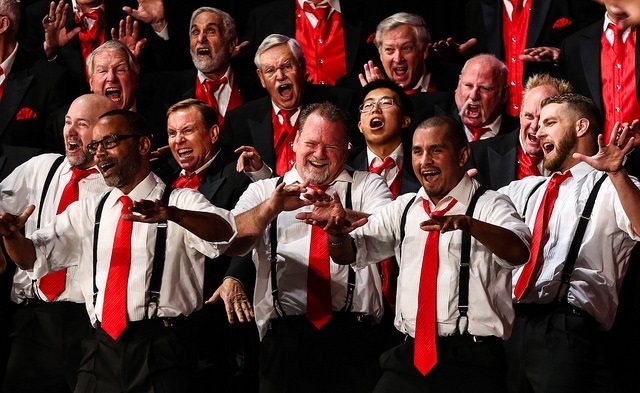 Choir! Choir! Choir! meets twice weekly in Toronto as a weekly drop in, no-commitment singing event open to anyone who likes to sing new arrangements of pop songs. (Check out their past catalog, which ranges from Aerosmith ("Dude Looks Like A Lady") to Bob Marley & The Wailers ("One Love") to Prince ("When Doves Cry") to The Muppets ("The Rainbow Connection.") 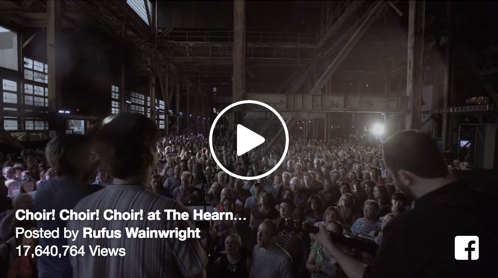 Or, as in the video below, Leonard Cohen's "Hallelujah," sung by more than 1,500 people. Imagine chapter meeting nights that always felt like this! Or existing chapters offering something like this occasionally, no strings attached. Tip o' the straw boater to Jeff Healion of the Reno Chapter for this link!